With this week’s Hot Jobs – fa-la-la-la-la…la-la-la-la! Check them out before your eggnog – fa-la-la-la-la…la-la-la-la! ‘Tis the season to get hired! Fa-la-la-la-la-la…la-la-la! Call us before the year expires – Fa-la-la-la-la…la-la…la…lah! Get hired! So before you get discouraged and start making snowflakes from your extra resumes, take a moment to focus on your job search. 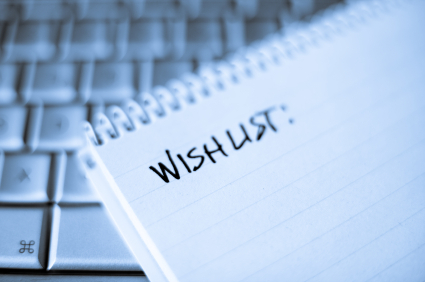 We know it’s December – a busy time with many distractions — but if you’re still making your career a priority, then kudos to you! Forget about craft projects for now! We’re hiring…so what are you waiting for? So forget about the hassle of the hustle and bustle. Just give us a call to learn more about these and other great creative opportunities! If you’re tired of the same stale gifts every year – the obvious re-gifts, the unattractive (and too-big holiday sweater), or the self-help book you hope isn’t really meant for you — then we have just the thing for you! Contact us to find out more about these and other creative, marketing and interactive positions. The holiday season has arrived…bringing with it the usual countdowns, busy work commitments and schedules, and a time to spread good cheer with colleagues and clients. 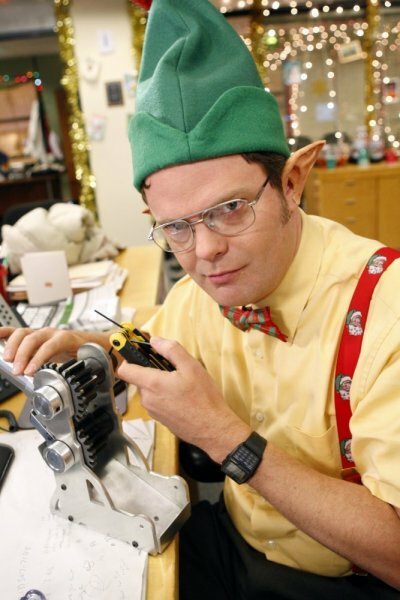 Holiday traditions at home and at work abound, and hopefully your holiday experience at work is better than something Dwight and Jim can think of! The annual gift swap isn’t that bad – This year, plan to gracefully accept that door stopper (disguised as fruit cake), and you’re sure to have a great time swapping presents. Speaking of gifts – Please choose what you give carefully. When in doubt, keep it professional or choose a gift card that’s appropriate. Reciprocating isn’t necessary; if you’re not into gift giving, a nice “thank you” will suffice. Holiday Vacation Time – Be sure to plan well ahead of time and check with your manager or HR for holiday time off policies. It’s a popular time of year, so you may not be the only one in your group who needs or wants time away from the office. Have fun (but not too much, of course) at the office party! – Remember, it is a business event, so be sure to dress appropriately and not overindulge.